Many players worldwide know that the adrenaline rush is spreading all over the veins when playing roulette as it is very hard to influence the outcomes. 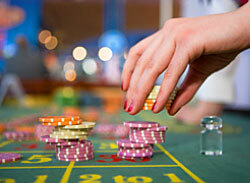 Every roulette spin is an independent event that is why it is called the game of chance or luck. Being a highly popular and famous game, roulette offer great payouts, that is why all roulette players are dreaming of winning big. Part of them rely on their luck or circumstances, others do not wait for anything and simply try to beat roulette using various methods such as roulette betting systems or even illegal roulette cheating methods. Even those, who never make use of any of the illegal methods, wish deep inside they could be able to make a fortune in such unpredictable game of luck. Past posting is widely spread cheating method among roulette players around the world. They know that the most important is to know how to place bets and where to place them. There are different types of bets with different payouts. The highest payout players can get only for Single number bet as it is very risky! Past posting is referred to late betting. It is sometimes mixed with top hatting but they have differences. When using top hatting the dealer cooperate with the player and place additional chips after the winning number is known. Past posting is the method for players who "work" alone. It means that in past posting players have to place chips on the winning number by themselves. It is almost impossible to use this method nowadays as there is always many other players at the roulette table along with managers, pit bosses and eye in the sky security systems. In order to use this method, players are advised to take place at the table as far from the wheel and the dealer as possible. This way, players have more chances to place late bet but it is much harder to see the winning number.